The college football season has started and with that students are being ticketed while tailgating. Whether you’re studying at Wayne State University, Michigan State University, the University of Michigan or another Michigan college, these tickets are very common but they should be taken seriously. Even a single conviction on your record can have an impact on your future employment and educational opportunities. Individuals may be charged with Tailgating Misdemeanor Tickets due to tailgating activities including Minor in Possession of Alcohol, open intox, assault, and Urinating in Public. One of the most common is Minor in Possession of Alcohol. 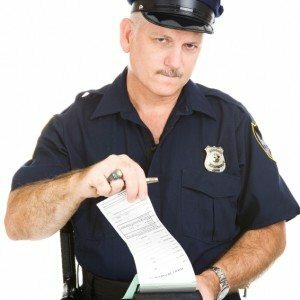 The exact crime you are charged with depends on the location you are when you are ticketed but all have serious consequences including fines and possible jail time. Civil infraction tickets may also be handed out for handling open containers of alcohol. Open bottles and cans of alcohol are sometimes permitted on certain campuses during football games, however if you step off of campus or have an open container other than on game day, you may be written a ticket. It is important to know the rules in your area because, even though civil infraction tickets are typically not associated with jail time, tickets for handling an open container of alcohol can be costly. Charged with a Tailgating Misdemeanor Tickets: Don’t take a risk on your rights—call one of our criminal defense attorneys at (248) 398-7100 for a free consultation or contact us with a private message, we can help you put this in your past quickly, so you can move on with your life. Copyright © 2017 GarmoKiste.Com . All rights reserved.